Summer(officially) is just one day away. 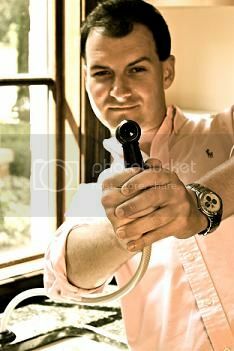 Even though we have been sweltering in the hot Alabama sun for over a month now, there's no better time take a look at some outdoor plumbing options. In recent years, there has been a shift toward outdoor showers, and not just for those with pools/spas. If you've never taken a shower outside(enclosed for privacy in areas where neighbors are close by), you're missing out. It's got to be one of the most cleansing(literally and emotionally) experiences I've had. It wouldn't be that hard for you to have one, too! 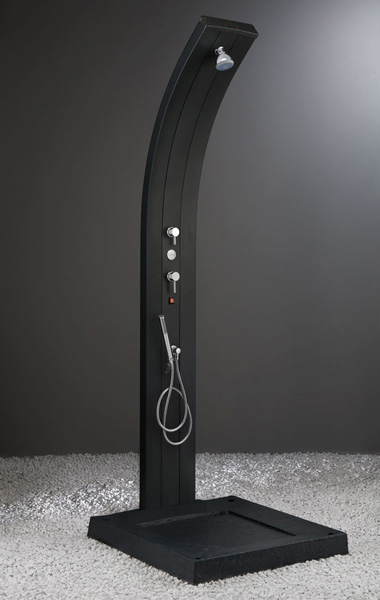 This is a solar powered shower by Arkema. 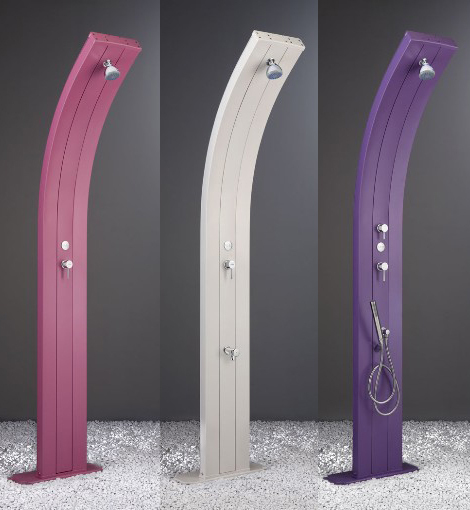 This Italian innovator has showers with various configurations that are destined to fit any space and serve any function. 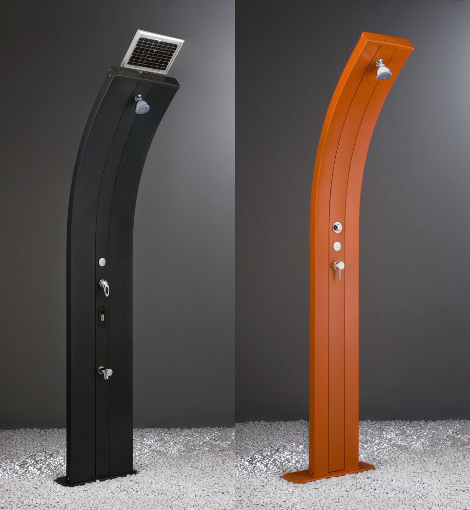 Whether just a quick rinse after a trip to the beach or a more permanent private set up, the simple and elegant design of the Arkema shower will fit right in any outdoor space. 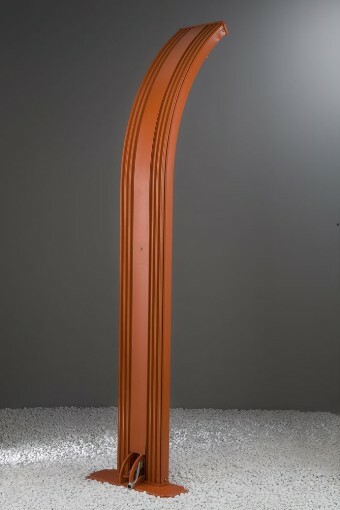 The water heating element is solar, but some models offer an electric water heating method as well. On top of the eco-friendly and physical design aspect, Arkema even allows for special color choices. Make it your own! Shower outdoors! Visit Arkema here. The black one looks perfect for my bathroom. I hope our Long Island plumbers know how to install this. #LetsBlogOff - I am Ultimate Grand Supreme!